This clip demonstrates how to join copper to aluminum using Super Alloy 1, the 350o solder, with a propane torch. Aluminum dissipates heat quickly, while copper retains heat. Be sure to apply your heat more toward the aluminum to account for this factor. Never heat the copper red hot. 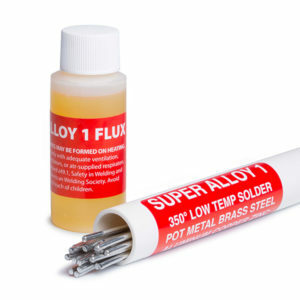 Super Alloy 1 flows at a considerably lower temperature than red hot copper. Watch the flux as your temperature guide. When the flux turns root beer brown you’re ready to apply the rod. If the flux turns black, you’ve overheated it. 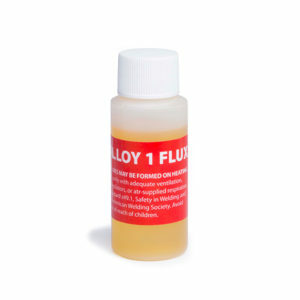 Remove flux with warm water and reapply.